As such a broad category, understanding the difference between certain bottles of spirits can be a minefield for aspiring bartenders and enthusiasts, as the technical language on the label doesn’t always offer a clear explanation to the liquid inside. With an ever-growing choice of spirits coming to the market and more and more people choosing to enjoy distilled drinks, there is a growing need for education to help increase consumers’ and staff’s understanding of what they are drinking. This refers to the strength of an alcoholic liquid. ABV stands for Alcohol by Volume and is measured as a percentage, indicating what percentage of the total volume is alcohol. Proof is generally used in North America and is twice the ABV e.g. 50% ABV = 100 proof. The term dates back to when alcohol had its strength proven through the use of gunpowder and a match. Although not legally defined, this term is most commonly associated with the production of gin and other flavoured spirits. A botanical is a natural ingredient – herb, spice, berry, root or citrus peel – used to add flavour to a spirit, commonly through re-distillation. A recipe of botanicals is added to a pot including a diluted spirit, this spirit is then re-distilled, and the newly distilled spirit will retain aromas and flavours of the botanicals. Sometimes known as barrel proof, this refers to a whisk(e)y that has not been diluted with water before bottling. While not a standard production choice, when employed these higher strength spirits showcase the unique texture and character of the spirit. Most spirits that are bottled at cask strength will state this term on the label. This refers to a cask’s previous contents. Aged spirits of all kinds often use “old” barrels that have previously contained another alcoholic liquid, some of this liquid will remain in the wood and ultimately influence the flavours of the new aged spirits. Ex-bourbon barrels are associated with vanilla, coconut and sweet spice flavours. Ex-Sherry can provide a fruitcake character, as well as some sulphur and nuttiness. This refers to the sole grain used to create Malt whiskies in the likes of Scotland, Ireland and Japan. Malt is an abbreviated version of Malted barley, barley grains that have been processed in preparation for milling, mashing and fermentation. Single Malt Whisk(e)y is made from 100% malted barley. These refer to a new spirit, straight from the still and unaged or unchanged by anything post distillation. Commonly from anywhere between 60% and 80% ABV, New Make is the term used in Scotch whisky while Eau du Vie is used in Cognac and Armagnac production. Casks are often used a number of times for the maturation of different types of alcohol, and with the right treatment they can have a lifespan of 100 years or more. 1st fill would mean it is the first fill since the cask’s original contents, 2nd fill would indicate the second since the original and so on. The more the cask is used and emptied, the less of the original contents will remain, the older the wood becomes, and the intensity of its influences diminishes. However, very old 4th or 5th fill casks can allow for delicate nuanced flavours to develop, adding to the complexity and intrigue of well-aged spirits. If you’re still stumped by spirits terminology, a WSET qualification will equip you with the knowledge to decrypt any bottle. On a WSET course you’ll not only learn how to taste and describe spirits professionally using the universal language of the WSET Systematic Approach to Tasting, but you’ll also learn to understand the common production techniques that lead spirits to taste the way they do. 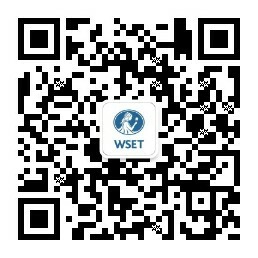 To find a spirits WSET course provider near you visit the Where to Study page.